What’s the latest with Stewart Builders LLC? 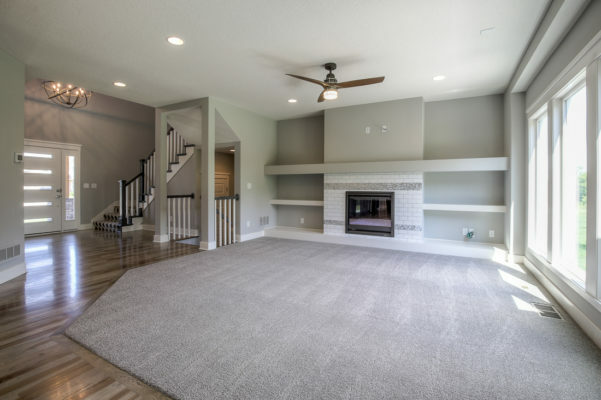 It’s the fireplace design…lets GET CREATIVE! 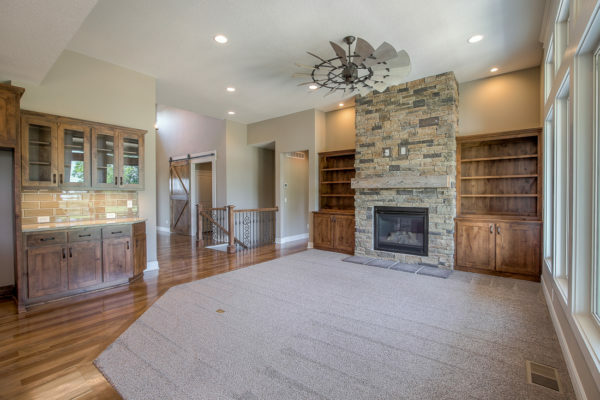 Who says you have to stick with the Stone and Mantel design? 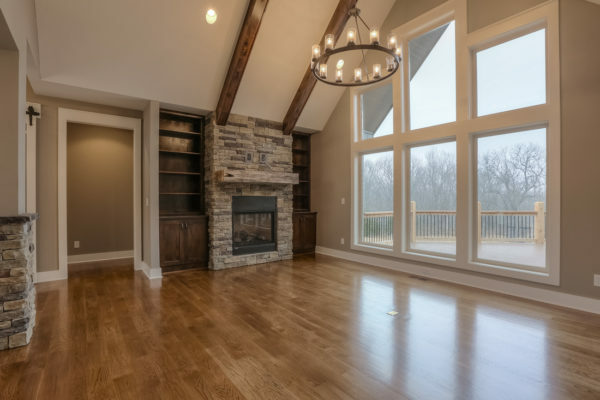 Fireplaces are typically the focal point of your living room…where you enjoy that cozy fire on cold fall and winter nights. So, change it up and make it unique! Here is a perfect example ~ 4 large pieces of 3/8″ metal was custom cut to wrap this fireplace. 2 words come to mind…Strong AND Beautiful! 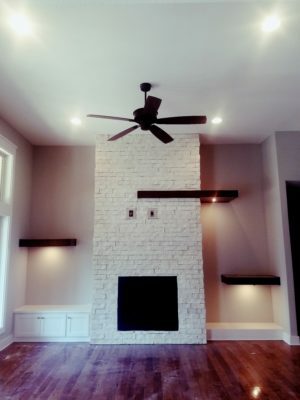 A fireplace mantel is still a traditional addition to the fireplace, so we decided to mix it up a bit! 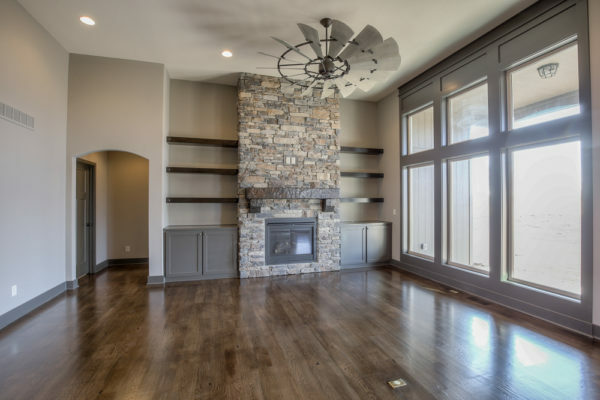 3 Floating type shelves give this fireplace a modern feel, while the stone (while somewhat modern as well) offers a rustic side. 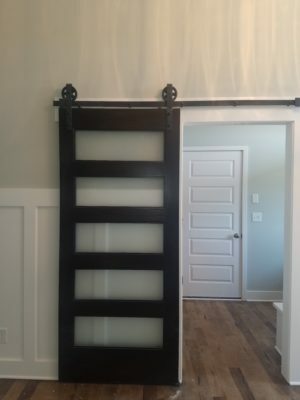 We dropped the built in shelving to approx 20″ off the floor (just tall enough to house T.V. components). Clean and simple! 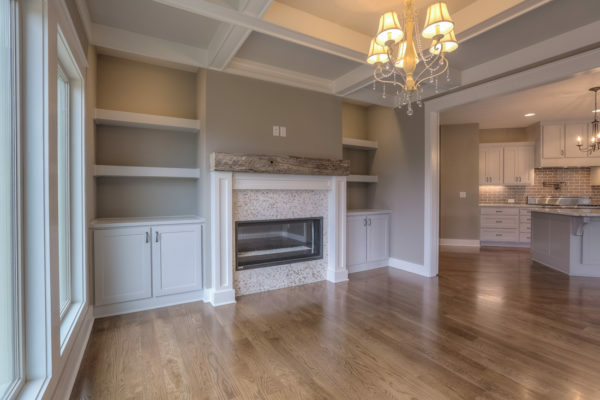 It’s hard to believe…but this is the identical floor plan, the Mackenzie II. Two very different looks. Both are beautiful! 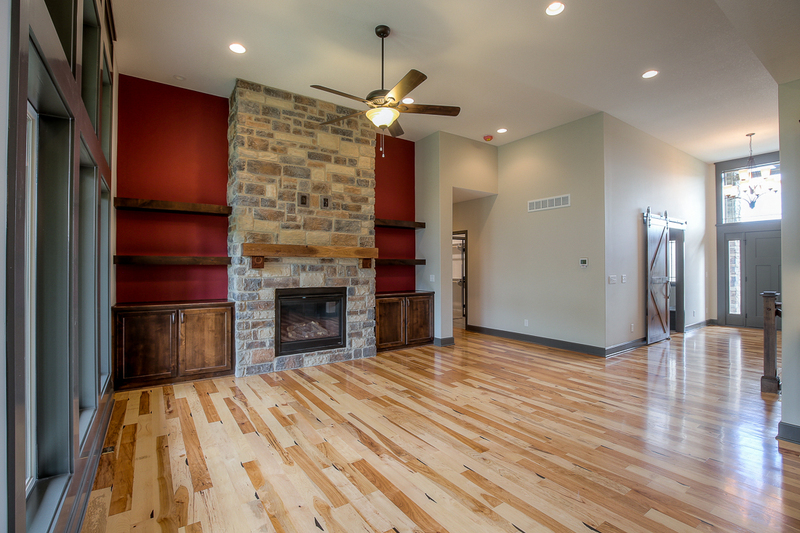 Although we’re focusing on fireplaces, ya just can’t overlook the barn door! 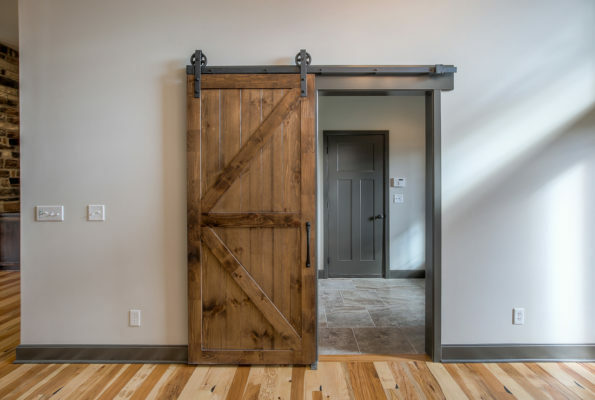 Here are the 2 door styles…Modern & Rustic (my other 2 favorite words!). 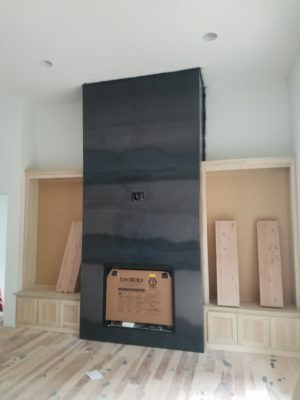 Since Fireplaces are our theme…below are some examples of what our clients are creating, ENJOY! As styles change, it can be challenging to make a final design decision. Just go with what you LOVE and don’t look back… you will love it for many years to come! Keep up with our latest updates and projects on facebook & give us a call so we can get started building YOUR Dream Home ~ CHEERS!